Saxophone Lessons for Individuals of all Ages and Abilities. 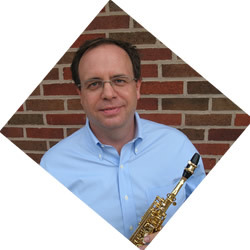 A music teacher with 25 years of experience, Wes Miller, creates a custom made lesson plan for each student to help them become the best musician possible. Take lessons for fun and to become a better player! I have helped numerous students gain entry into top music schools in the United States. Students have the opportunity to join one of my performing groups. I teach students as young as 9 all the way up to 85. ​Students Become Better Musicians When they Play with Others! Buckeye Band and Strings is an instrumental music education class designed specifically for home-schooled children who are looking for a fun, educational band or string class in which to play. Fill your life with music, friends, and the joy of accomplishment. No prior musical experience necessary. No matter what your experience, there is a place for you here.